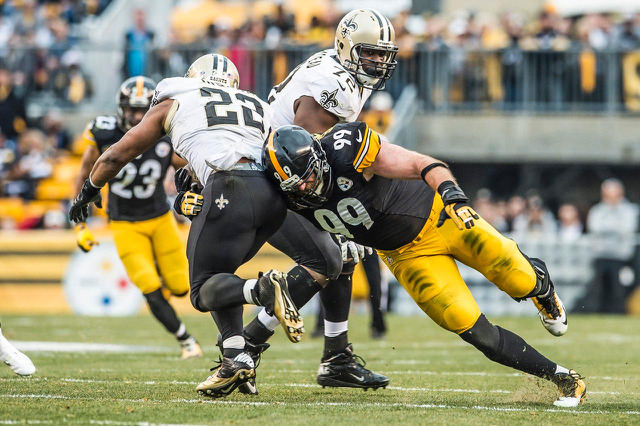 Keisel Placed on Reserve/Injured List | "IT'S A STEELERS WORLD"! The Steelers placed defensive end Brett Keisel on the team’s Reserve/Injured List due to a triceps injury during Sunday’s game, the team announced today. The 13-year defensive end played in all 12 of the team’s games in 2014, making four starts, totaling 17 tackles, 1.0 sack and five pass break-ups. Pittsburgh also announced the signing of defensive end Clifton Geathers. Geathers has played in 37 games (one start) since entering the NFL as a sixth-round draft selection of Cleveland in 2010. He has spent time with Miami (2010), Dallas (2010-11), Indianapolis (2012), Philadelphia (2013) and Washington (2014). ← BELL: 3rd 1,000/1,000 Running Back in NFL History?